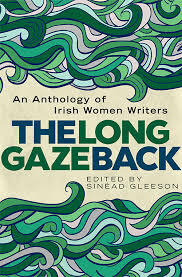 The Long Gaze Back is One City One Book for Dublin 2018. My story ‘As Seen from Space’ is included. How do you know you’re getting it right? 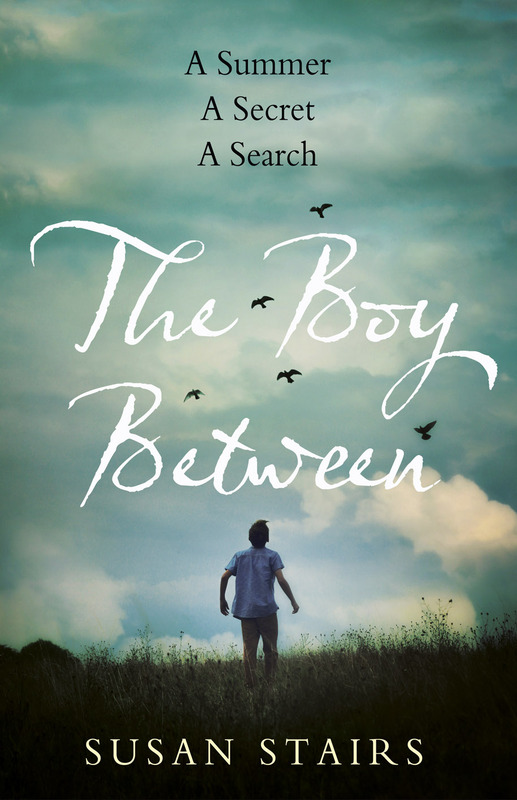 It’s two years to the day since the publication of The Story Of Before so it seems like a good time to reveal the cover of my second novel – The Boy Between – which will be published this coming August. Hope it meets with approval! 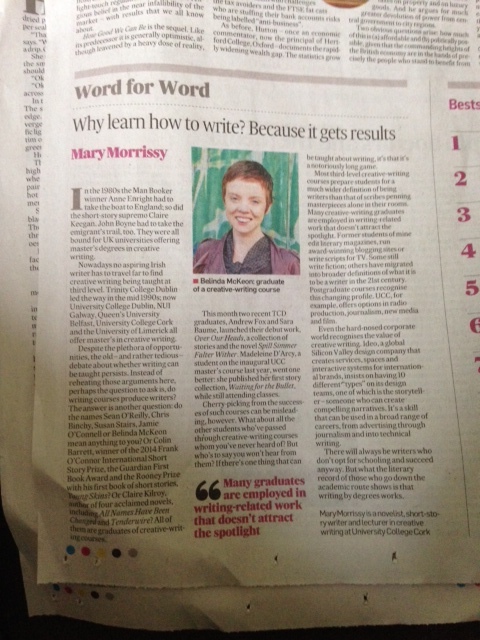 Mary Morrissey’s article about Creative Writing Masters in The Irish Times Feb 28, 2015 mentions no less than three of us who graduated from the UCD MA in 2009 – Colin Barrett, Jamie O’Connell and myself. Also, graduates of TCD’s MPhil Andrew Fox and Sara Baume who, along with Colin and myself, are represented by Lucy Luck of Aitken Alexander Associates. A very nice club to be in! shape of their future will be carved into two parts: the before and the after. Or that it will break her heart and break her family. This is Ruth’s story. It is the story of before. This debut novel was a great find! 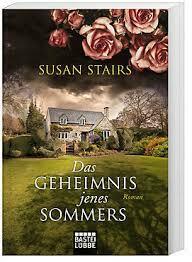 Beautifully written, it evoked many memories of childhood, particularly fighting with siblings (!). Set in the 1970s, the family has moved into a new housing estate, one the children freely roam during a long, hot summer. Told through eleven-year-old Ruth’s eyes, the arrival of baby brother Kevin is the turning point for her, along with trying to fit into the already closely formed friendship groups on the new estate. You can’t help but pick up on the underpinning tension which increases as the family’s lives begin to unravel at Hillcourt Rise. Knowing there is worse to come keeps the pages turning, though this is far from being an action-packed novel. 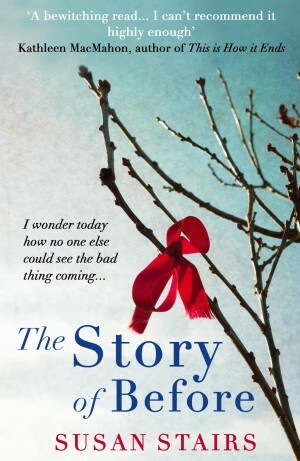 It is a slow progression that offers much to the reader – laughter, suspense, and heartbreaking sorrow. 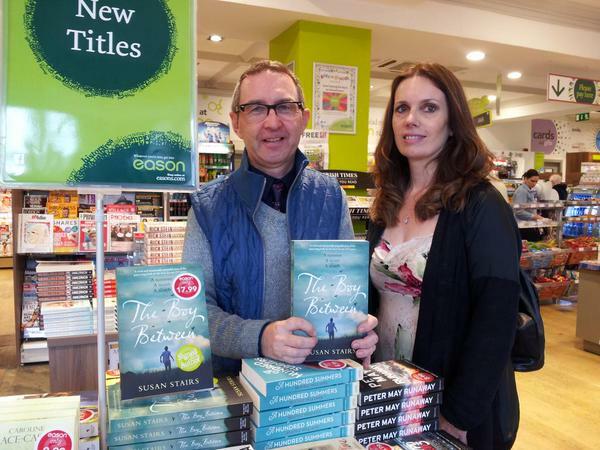 An intelligent read and not one to rush through, The Story of Before is a moving and memorable first offering from this author.